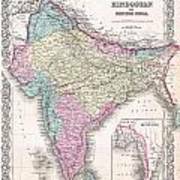 There are no comments for 1855 Colton Map Of India. Click here to post the first comment. 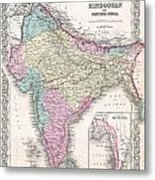 A beautiful 1855 first edition example of Colton's map of India. 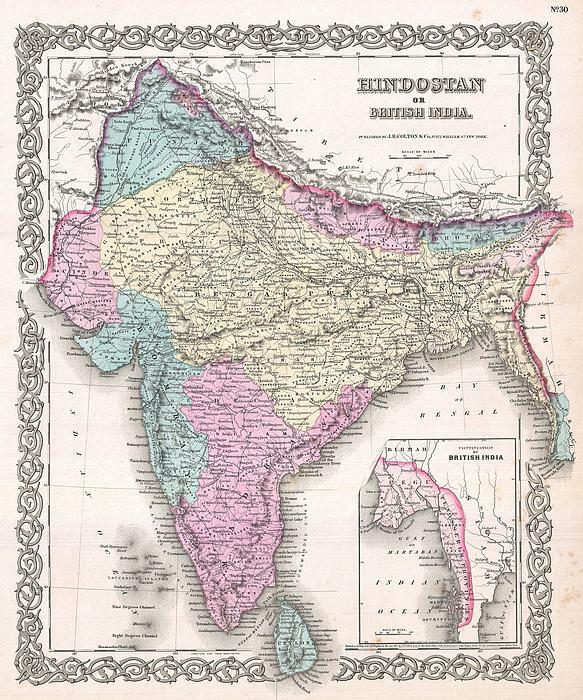 Covers the subcontinent from Tibet to Ceylon (Sri Lanka). 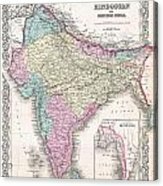 Color coded according to region and divided into Bombay, Scinde, Punjab, Nepal, Bhutan, the Bengal Presidency, Madras and Ceylon. An inset map in the lower right quadrant shows British claims in Burma (Pegu) and Southeast Asia. Throughout, Colton identifies various cities, towns, rivers and assortment of additional topographical details. Surrounded by Colton's typical spiral motif border. Dated and copyrighted to J. H. Colton, 1855. Published from Colton's 172 William Street Office in New York City. Issued as page no. 30 in volume 2 of the first edition of George Washington Colton's 1855 Atlas of the World .